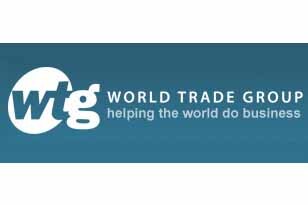 Business summit and training company World Trade Group (WTG) has appointed Tony Wheble as chief executive. The appointment follows the departure of Andrew Brown, who has served as WTG’s chief executive for the last five years. WTG chairman Charles Watson said: "It is with both sadness and gratitude that WTG will be saying goodbye to Andy Brown. He has played a central role in building the business into the world-class company it is today. "However, in Tony Wheble we have secured an outstanding individual to take over the leadership of the business. His track record in building sales and marketing driven businesses is impressive, and I know will be of enormous relevance to helping WTG achieve its ambitions." Wheble has worked across the marketing, media and travel industries and most recently served as chief executive of James Villa Holidays. He said: "I am thrilled to be joining WTG at this exciting stage of its development. The business has identified numerous compelling growth opportunities both domestically and internationally and I look forward to working with the team to build upon the strong platform developed by Andy in order to help WTG secure further growth in the coming years."